Size: approx. 40-50 mm. Photo: 06/25/11, 10 am. This is another skipper. The German word for skipper is "Dickkopffalter" which means "big head folder". And yes, their heads are big! 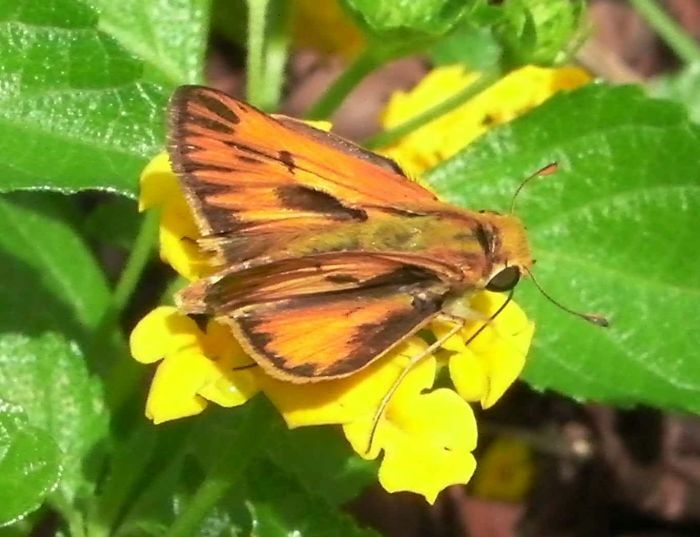 Based on the color and specific wing patterns, this one looks like a "fiery skipper" (Hylephila phyleus). The caterpillar is green with a black head and lives in the lawn.